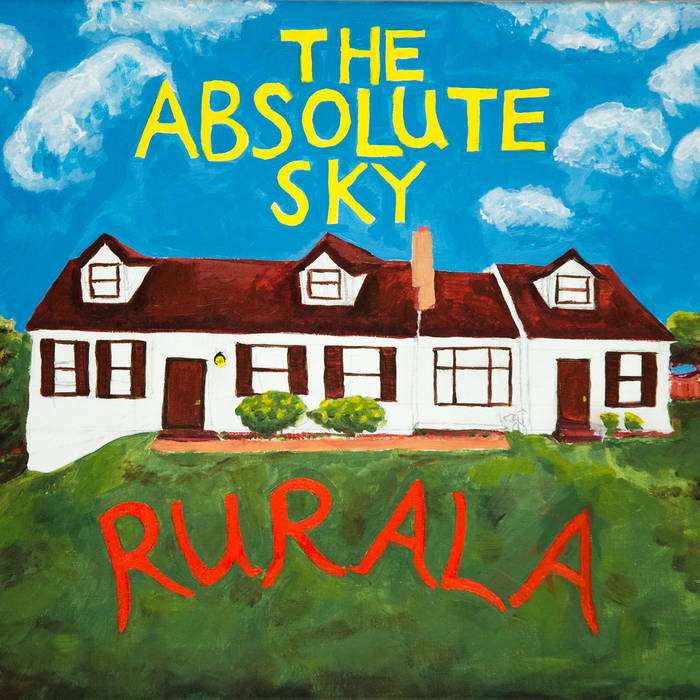 From Philadelphia, Pennsylvania, The Absolute Sky is one of most upbeat indie bands I’ve ever heard. Every song has this sense of wholeness, or happiness that’s embedded into words that aren’t necessarily so reflective of the positive tone in the sound. As a matter of fact, a lot of these songs are full of despair, loneliness, and fear. The Absolute Sky has found a way to write about self doubt in a positive way. To me, this kind of music is very cathartic. The problems and issues are universal, and that leads to this entire album written as something everyone can relate to. I’m reminded a lot of Ben Folds, The Shins, The Strokes, and at the same time nothing will ever quite fit. The Absolute Sky just has to be heard to be understood. One thing that really stands out in RURALA is the vocal work. Harmonies, whistling, and many other complex ways of writing the vocal lines as not just words, but an instrument producing a melody that can carry a song. It takes a lot of care and patience to be able to implement them so well. Parking lots is my favorite song. I have never heard a song quite like this. The guitar solos in the song are so good, all of the musicians in this band are very skilled at what they do. This song, to me is about living on the east coast. Growing up and seeing the seasons change, how things were easier and made more sense before the world was too complex. The song spans several months, from the fall to the winter. The cadence of the words in this song really hooked me in. They are very quick and poetic. All of the lyrics to these songs are available to read on their bandcamp page, I recommend taking the time to read along while listening. RURALA has some writing that challenges the music on which is better. After the first few songs, I had to listen to the album in it’s entirety. This is great, honest, well composed indie rock. I’m also reminded a lot of my morning jacket. The bassist in The Absolute Sky is also very talented. Not only keeping the rhythm but adding to it. The drummer is doing everything right in this band. There’s so much control required to be able to play like this. From slow and smooth to fast and insane, it seems like there’s nothing this band is doing wrong. I am really excited to see them play soon, check this album out if you’re an indie fan, ever lived on the east coast, or have a beating heart.